As the new year approaches, many iGaming operators are looking to expand their services into specific niche areas. 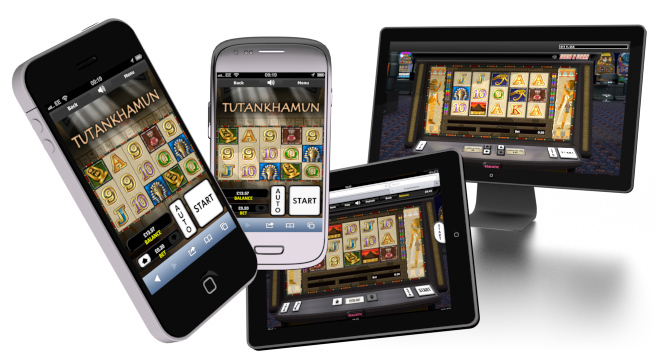 Rank Interactive, which controls all Grosvenor Casino and Mecca Bingo websites, is turning the brunt of its attention to mobile casino games, signing a new partnership deal with Realistic Games to meet their strategic goals. Realistic Games has been spearheading the digital gaming market since 2002, developing an impressive range of casino games with authentic graphic detail for some of the UK’s largest iGaming operators. Based in Gibraltar, Realistic signed its first contract with Stan James, going on the earn the contractual respect of other partner brands like Bet365, Bet Fred, Bet Victor, Ladbrokes and Sporting Bet. In 2008, Realistic decided it was time for a lofty expansion of its product, spending two years focusing on the development of an inspiring Realistic Games Library. With that, more companies flocked to the Gibraltar-based software brand, including one of its most remarkable partners to date, Ireland’s number one iGaming operator, Paddy Power, in 2013. Today, Realistic Games specializes in providing a complete portfolio of blackjack, roulette, slots and fixed odds games tailored for seamless compatibility on desktop, tablets and smartphones, including PC, Apple iOS and Android powered devices, as well as providing software for land-based gaming machines. With the industry steadily evolving towards mobile casino games, Realistic’s emphasis on digitized aesthetics and seamless gameplay has drawn the attention of Rank Interactive, whose current stratagem is perfectly aligned with what Realistic has to offer. The simplified and highly customizable platform is primed for integration on Rank Interactive, slated to occur sometime early next year. The Rank Group is the largest casino operator in the UK, with extended operations in Belgium and Spain, responsible for more than 50 Grosvenor Casinos and nearly 100 Mecca Bingo halls. Its Rank Interactive division operates all of their associated iGaming websites, and is highly enthused about the impending integration of Realistic Games’ full suite of digital slot machines and casino table games. “We have been very impressed with Realistic Games’ content,” said Ciara Nic Liam, Head of the Casino and Games department at Rank Interactive, commenting on the new partnership.